Last Friday, Councilmember Kshama Sawant hosted a hearing that featured several residents facing eviction, telling their stories. Testimony was powerful, moving, and conveyed the sense of love these neighbors have for each other. One woman who was formerly homeless held up photos from her garden and mentioned she provides vegetables for her neighbors who cannot make it to the market. Every resident mentioned they had been told this was going to be their forever home; the last home they would ever live in. You could hear a deep sense of betrayal in their voices. One resident, Eloise Nicholson said: “I bought my home in Halcyon Park in 2003, 15 years ago. This is a caring community; We look out for each other.” Many speakers mentioned that they do not drive. One speaker mentioned that this was a dense, walkable community with access to good bus routes. Mobile homes are an example of affordable, missing middle housing. In the 1990s, there were six mobile home parks in this area of North Seattle. Today, only two remain. Halcyon mobile home park is an 85-home, two-acre park in North Seattle by Aurora Avenue and N 125th St. It is a 55 and older, low-income close-knit community. Many of the community members have serious health issues and their neighbors provide emotional and physical support. Halcyon Mobile Park is located in District 5 near Bitter Lake. Residents own their homes but not the underlying land. Though the homes are “mobile,” most are too old to be moved and there are almost no empty mobile home spaces to rent elsewhere in the area. If the residents are evicted, they would have to pay for their homes to be demolished. CityLab covered this topic and called the state of mobile homes in our country “The Other Affordable Housing Crisis”. The land is owned by Halcyon Mobile Home Park, Inc., which is currently controlled by US Bank. The prior owners, Glenna Tollett and Jean Hobbs, passed away in 2001 and 2017, respectively. After Glenna Tollett died, US Bank officers became the controlling agents of the corporation, though residents of the park were told that Jean Hobbs was still the president of the corporation. In July, 2018, shortly after Jean Hobbs died, US Bank listed the property for sale for $22 million. They market the site as ideal for demolition and market-rate office or townhome redevelopment. The site is a former landfill and the soils are unstable, though not unbuildable. The current zoning is Commercial 1 with a 40-foot height limit. A prospective buyer is lined up and has preliminary plans for townhomes, though they have not yet applied for a master use permit with the City. Policy options for stopping the demolition of Halcyon include: a moratorium on use, rezoning the site to designate it exclusively for mobile homes, and purchase of the property by a governmental affordable housing authority. Councilmember Sawant will introduce a resolution on today during a full council meeting. There will be a 1:30pm sign-in for public comment and the meeting begins at 2pm in City Hall. Councilmember Sawant hopes the city council will choose to vote on her emergency legislation, a moratorium on redevelopment of existing mobile home parks. Share The Cities encourages you to show up and let the residents of Halcyon know they are not alone. If you are unable to attend, here is the contact information for Seattle City Councilmembers. It takes less than 12 minutes to dial each and every councilmember and speak to a legislative aide or leave a voicemail. At-large Lorena González 206–684–8802 lorena.gonzalez@seattle.gov. This is a cross-post from Share the Cities’ Medium. A group of pro-housing activists founded Share The Cities in 2018 to work on land use and zoning justice in District 4 and 5. The organization focuses on access to open space, housing choice, and transit. 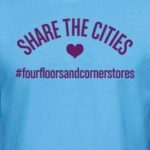 Follow them on Twitter: @sharethecities.